From 1st to 5th October, Alquermes Mexico participated with a stand at the ‘XXIV Seminar on Harmonization of Registration and Control of Veterinary Medicines CAMEVET 2018’, which this year was held, for the first time, in Quito (Ecuador) being Agrocalidad (Agencia de Regulation and Control Fito and Zoosanitary) the host of the mentioned event. 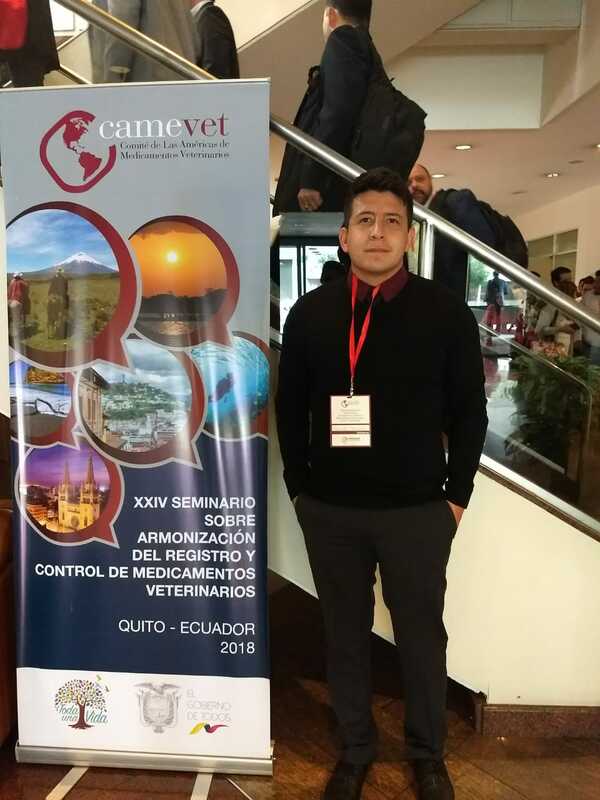 The CAMEVET (American Committee of Veterinary Medicines) was created with the objective of facilitating the harmonization of standards, registers and controls of veterinary medicines among the countries of Latin America. This committee meets every year to analyze the regulations that are currently being approved. This year the event was held in Quito, which became a meeting point for registry managers and producers where they could talk about the task of registration in different areas of Latin America. Alquermes Mexico did not miss the opportunity and went to the capital of Ecuador to inquire about how records are handled at an international level and more specifically to learn more about the harmonization of veterinary product requirements in Latin America. In the event, Ing. Gerardo Mayoral, head of Alquermes Mexico, was able to meet with representatives of registration areas of Mexico, Honduras, Guatemala, Nicaragua, Paraguay, Ecuador and Colombia, countries in which they will begin to register the products of the company in the coming months.